Actually it was a fire in a cabin. A small fire was reported Thursday morning aboard Quantum of the Seas which is under construction at Meyer Werft in Papenburg (Germany). The fire broke out in a cabin on Deck 3 and was quickly brought under control, according to Meyer, but the blaze did do approximately 50,000 euros worth of damage. The American Heart Association really cashed in as a result of one of Princess’ Cruising for a Cause cruises. The line presented the American Heart Association with a check for $832,000 today. A portion of each passenger’s cruise fare was a donation to the AHA, and it was matched by Princess Cruises. Many people come to have a favorite bartender on their cruise, but Diego Reserve is looking for the best bartender in the cruise industry. (Diego Reserve is the maker of such fine liquors as Johnnie Walker, Singleton Scotch, Ketel One Vodka, and Tanqueray Gin, and many others.) They sponsor an annual competition, and the final four bartenders have been chosen. The finals will be held in Miami on June 12. In case it wasn’t marked on your calendar, this is World Ocean Day. In case you didn’t get around to celebrating, Carnival Corp sent a nice enough gift nobody will notice that you forgot. The world’s largest cruise company is donating $2.5 million to The Nature Conservancy's global marine protection priorities. Last week we told you about an alleged sexual assault of a woman by two male passengers aboard Navigator of the Seas when it was in international waters just outside Jamaica. Information is slowly beginning to come out, but once the ship reached Galveston, something important happened. CND subscribers also read about it being a wonder there's any left for the rest of us ... and the new show on AIDA is not your grandfather's production show (see below). Photo courtesy of AIDA. All rights reserved. May not be copied or used without permission. 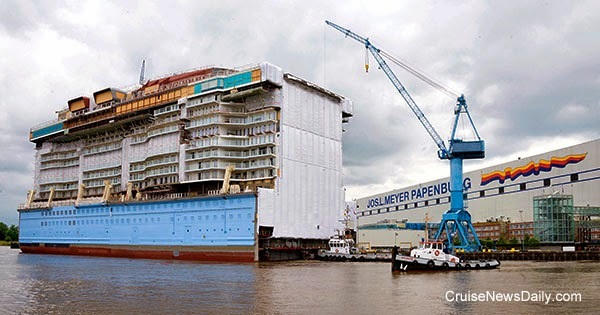 Meyer Werft needed to rearrange things in their covered building dock, so on Sunday, a large section of Anthem of the Seas, which had been under construction just ahead of Quantum of the Seas, was towed out of the building dock and parked temporarily in Meyer's lagoon. MIAMI, June 5, 2014 -- To help celebrate World Environment Day today and in advance of World Oceans Day on June 8, Carnival Foundation in partnership with Carnival Corporation & plc (NYSE/LSE: CCL; NYSE: CUK), the world's largest cruise company, is providing a $2.5 million gift over five years to support The Nature Conservancy's global marine protection priorities. Carnival Foundation's support will be directed toward identifying locations where industry and community are most dependent on marine and coastal resources -- including key conservation priority sites where Carnival Corporation and its 10 cruise line brands operate. The Nature Conservancy's work in these regions, backed by the Carnival Foundation, will help quantify the value of marine ecosystems and help the Conservancy develop mapping tools to guide investment decisions for conservation in the regions. Additionally, support from Carnival Foundation will enable the Conservancy to significantly scale coral restoration initiatives within the Caribbean, and continue to advance important science that shows how coral reefs and other natural systems can help reduce risks to coastal communities from storms and sea levels rising. "Carnival Corporation and our 10 cruise lines sail millions of people a year on the world's oceans, so being environmentally responsible is critically important for us," said Arnold Donald, CEO of Carnival Corporation. "Doing so is not just essential to the very existence of our business, but more importantly, it is the right thing to do. So it is with great pride and much excitement that we announce our support of the Nature Conservancy, one of the world's leading conservation organizations." Added Donald: "We share a strong commitment to achieving environmental excellence, and we look forward to collaborating with the Nature Conservancy, widely recognized for its scientific expertise and global presence, to advance the cause of preserving and managing the health of our oceans and seas around the world." The donation provides another example of Carnival's commitment to protecting the marine environment in which its 10 cruise lines sail, along with the company's respect for the mission and work of the Nature Conservancy. "Protecting and restoring the ocean is central to achieving The Nature Conservancy's mission, and it is an organizational priority," said Lynne Hale, managing director of the marine team at The Nature Conservancy. Hale added: "The multiple benefits that healthy marine systems provide are essential to human well-being and economic growth. This support from Carnival Foundation will help advance important work to better understand, protect and restore these crucial systems." The Nature Conservancy works across all sectors of industry and society to help advance its mission to protect the natural world, and develops relationships that best align with the mission to produce clear conservation benefits with lasting, measurable outcomes. This agreement follows recent news from Carnival Corporation that it will significantly increase installations of its industry-first exhaust gas cleaning technology to more than 70 percent of its fleet to reduce emissions and improve air quality. Carnival also recently announced it is on track to meet its goal to reduce its rate of greenhouse gas (GHG) emissions from shipboard operations by 20 percent by 2015. The Nature Conservancy is a leading conservation organization working around the world to protect ecologically important lands and waters for nature and people. The Conservancy and its more than one million members have protected nearly 120 million acres worldwide. Visit The Nature Conservancy on the web at www.nature.org. Carnival Foundation is dedicated to creating positive change through empowering youth, enhancing education and strengthening families. In the past five years alone, Carnival Corporation — which includes 10 brands — and its 120,000-plus employees have made more than $30 million in financial contributions and in-kind donations to a variety of local and national charities. Following the example set by Carnival's founder, the late Ted Arison, and continued by his son Micky, chairman of Carnival Corporation, Carnival Foundation endeavors to make South Florida and other communities better places to live and work. For more information visit www.carnivalfoundation.com. Carnival Corporation & plc is the largest cruise company in the world, with a portfolio of cruise brands in North America, Europe, Australia and Asia, comprised of Carnival Cruise Lines, Holland America Line, Princess Cruises, Seabourn, AIDA Cruises, Costa Cruises, Cunard, Ibero Cruises, P&O Cruises (Australia) and P&O Cruises (UK). Together, these brands operate 101 ships totaling 212,000 lower berths with seven new ships scheduled to be delivered between fall 2014 and summer 2016. Carnival Corporation & plc also operates Holland America Princess Alaska Tours, the leading tour company in Alaska and the Canadian Yukon. Traded on both the New York and London Stock Exchanges, Carnival Corporation & plc is the only group in the world to be included in both the S&P 500 and the FTSE 100 indices. Cunard’s Queen Elizabeth is back from dry dock, and as promised, she’s slightly bigger - in terms of the number of passengers she carries. 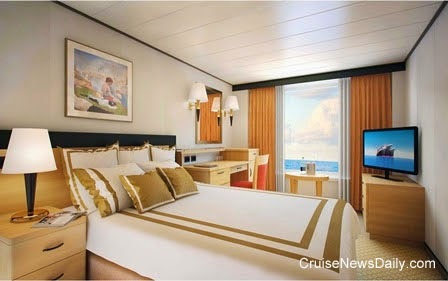 During the dry dock, nine new single staterooms were added to the ship, but these aren’t like your grandfather’s single. CND subscribers also read about putting the pedal to the metal in Glacier Bay ... coming home to cost you $2 more ... and your first year free. Rendering courtesy of Cunard Line. All rights reserved. May not be copied or used without permission. One wouldn’t expect the inaugural cruise of a new ship to be controversial or a hotbed of dissent, but Regal Princess’ was. Shortly after it sailed, several readers wrote to tell us that on Regal Princess’ inaugural cruise, Princess was testing a couple of new charges. Customers never really like new fees, but most of the time they accept them. Over a few weeks, the cruise line might test several different levels, but in the end, one usually gets added without too much commotion. In this article we look at what Princess was testing and what they learned unexpectedly. CND subscribers also read about a ring in your pocket, and My Ship makes her entrance. 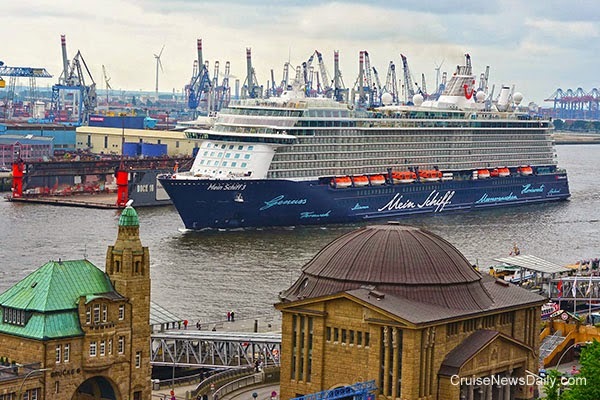 TUI Cruises' Mein Schiff 3 arrived at Hamburg for the first time on June 1 from the STX yard in Turku (Finland). 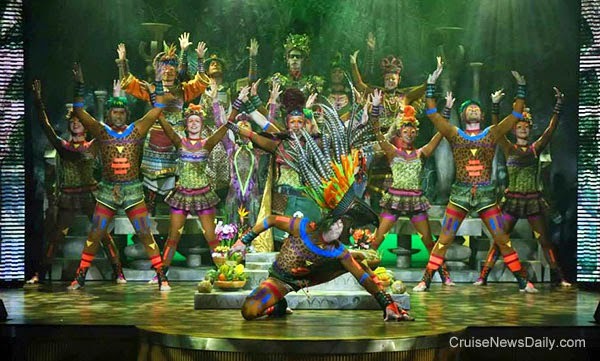 The ship will be christened on June 12 at Hamburg and then leave on its maiden cruise the following day. TUI Cruises is a joint venture between TUI Travel and Royal Caribbean Cruises Ltd.
Photo courtesy of TUI Cruises. All rights reserved. May not be copied or used without express permission. * New Category and Bars for VolendamHolland America is finalizing plans for work to be done during Volendam’s dry dock at the end of the year. Today the line talked about three of the larger projects they will undertake during the December dry dock. CND subscribers also read about the Cayman Islands saying they are ready to move forward with their cruise pier ... and MS3 is place for christening. 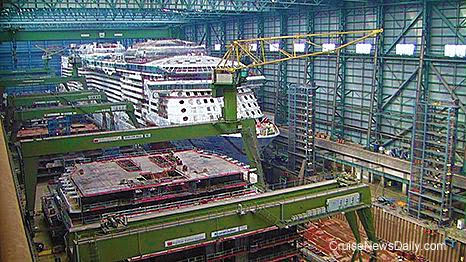 Quantum of the Seas under construction this morning at Meyer Werft.